SANPETE COUNTY, Utah (KSTU) -- A Utah turkey company is under fire from an animal activist group, after the group released photos and videos allegedly showing deplorable conditions and disturbing health problems at a Moroni turkey farm. ​Direct Action Everywhere (DxE) said they spent nine months investigating the farm, which contracts with the brand Norbest. Paul Darwin Picklesimer told Fox 13 he and a team of others visited the farm in the middle of the night earlier this year, and filmed the conditions. "I've been to a lot of different farms and done a lot of different investigations, and what we saw on this Norbest farm was horrific​," Picklesimer said. A turkey company is under fire from an animal activist group, after the group released photos and videos showing deplorable conditions at a turkey farm. The video appears to show sick, injured and dead birds lying around inside the farm's facilities. One turkey has a growth on its face. "This is an infected tumor on the side of his face," the video's narrator says. Picklesimer said he estimated about one in ten turkeys in the "hellish, dirty barn" were injured, dead or appeared to be dying. "Some birds like fat birds who you look at and you think like, 'Oh that’s a dead body,' and then when you look closely you see that their chest is still heaving​," Picklesimer said. Norbest President and CEO Matthew Cook said he watched the DxE video on Sunday. "Just deep disappointment in our grower," he said, of his reaction. "It just shouldn't happen." Cook said Norbest contracts with 32 family farms, and they process 5 million turkeys a year. 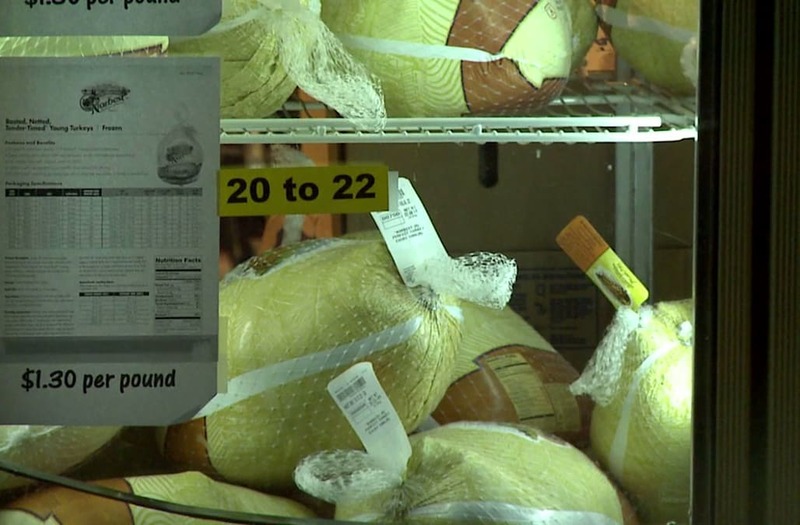 Each facility holds anywhere from 2,500 to 10,000 turkeys at a time, he said. The particular farm featured in the DxE video was already in hot water with Norbest, and Cook said they had suspended operations with the grower even before DxE released the video. The Live Production and Animal Care Team had found a series of issues with the farm that Cook said didn't follow company policy. "The birds were cleared from the farm, and there was a list of corrective actions given to the grower on November 1st," Cook said. "The grower was told that if you do not fix these things, you will not get the birds back on your farm​." While Cook admitted to multiple issues with the farmer, he said not everything DxE claimed was true. "They're making the claim that the turkeys have hepatitis," he said. "That is factually incorrect." ​He said one flock was treated with antibiotics prescribed by a veterinarian after they had become sick, but that sickness was not hepatitis as DxE claims.